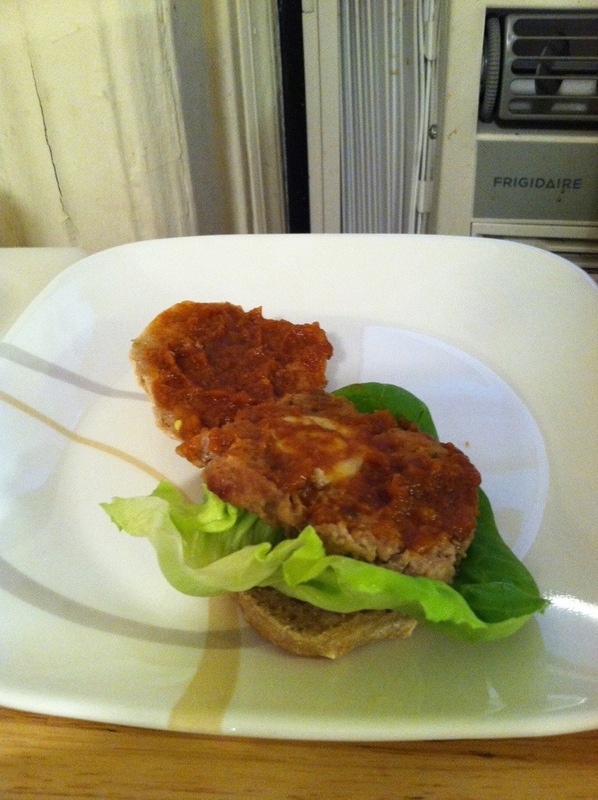 Filipino Meatloaf on Sourdough Rolls | sandwich surprise! 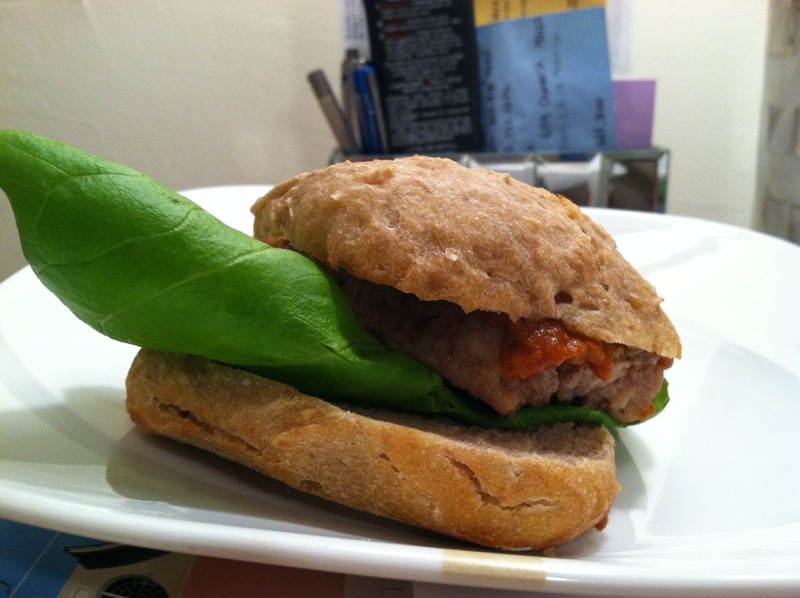 Thanks, Mom — your homecooked meals gave me the idea for this yummy sandwich! This is a riff on my mother Vicki’s delicious embutido — a Filipino ground pork meatloaf with hard-boiled eggs and green olives layered inside it. Some Pinoys use raisins, but I really hate raisins in meat, and luckily, Mom never added them. My sister and I used to eat the embutido with a little Heinz ketchup, and for this sandwich, I upgraded to another Filipino staple, banana catsup. 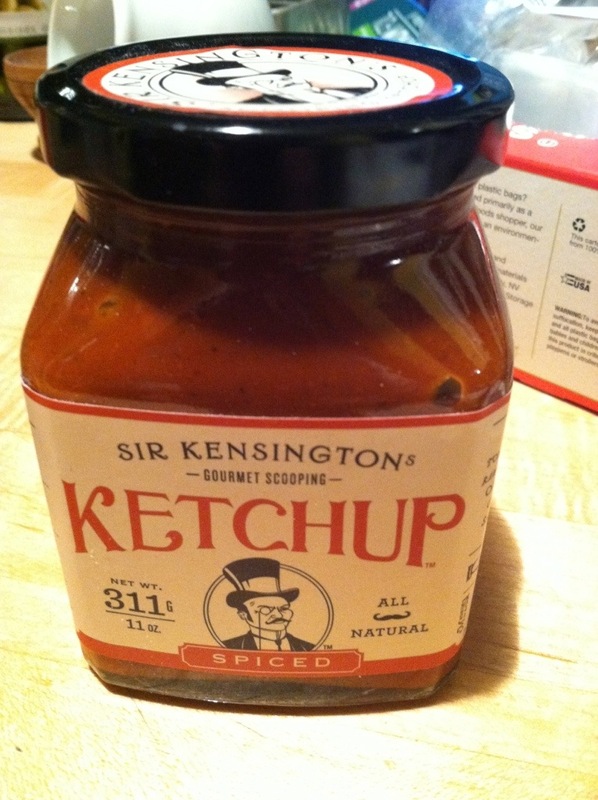 It’s a ketchup normally made with bananas instead of tomatoes, but I went for the lazy version, boiling a banana in its skin, peeling it, and puréeing it with a jar of Sir Kensington spiced ketchup ($5.99 at Whole Foods). That way, it wasn’t super banana-y, and it still had Filipino flair. Cost: About $24.50 to serve 5 people before adding in the price of sourdough rolls, if you’re buying them. If you make the bread, use the recipe from my Duck Fat-Roasted Cauliflower Steak sourdough rolls, minus the lavender. That adds another $3.25 or so. I put the eggs in a single layer in a sauce pot and poured enough water in to cover the eggs. After bring it to a boil, I cooked the eggs for just 1 minute. For the embutido, I tore the Pan de Sal into chunks and threw it into the food processor. I soaked it in the chicken broth, and then mixed that with all the other ingredients except the olives and the melted butter in a bowl until everything was fully incorporated. Instead of baking the embutido directly on aluminum foil, I put a Silpat sheet in between the foil and the meat. You don’t really need butter on Silpat, because it’s nonstick on its own, but I wanted a nice buttery flavor on the outside of the loaf. After scooping 1/2 the meat mixture onto the buttered surface, I layered the 3 eggs and 8 olives in the middle, nestling them gently into place. Then I spooned the remaining meat mixture on top, shaping it into a cohesive loaf. Then I rolled the Silpat over the top and closed the foil around everything on all sides, and put it in a baking pan and baked it for 90 minutes. I actually made the loaf the night before, and then fried slices of it in butter right before serving it on a leaf or two of butterhead lettuce on the sourdough rolls, and then spooning a bunch of banana catsup on top. 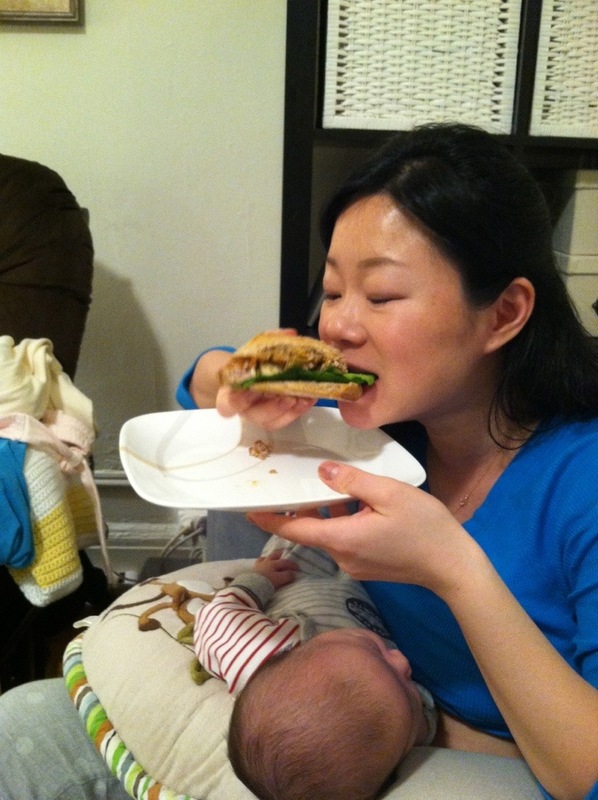 New mom Jeanie (with her newborn son, Jeremiah) was my Filipino Meatloaf Sandwich Surprisee. I left more meatloaf and one sourdough roll for Jeanie and her husband Ryan. I’m curious what Mom — and you — will say about the banana catsup. I know it sounds ewww, but it’s truly tasty. Let me know what you think. 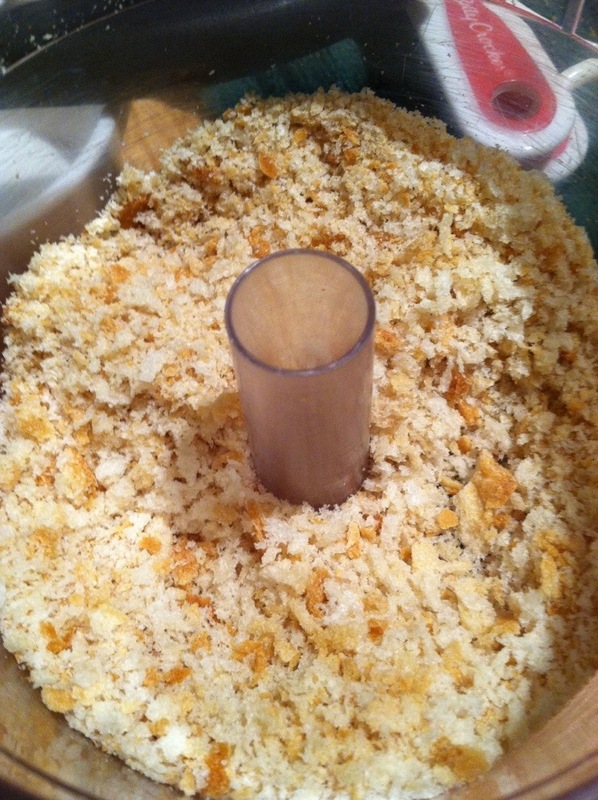 Also, I posted critiques of my Mofongo on Pork Rind Rolls sandwich on my Facebook page, so check those out! Want a Sandwich Surprise of your own? Just follow my Twitter account, like my Facebook page and/or subscribe to my blog here, and then comment, post or tweet to me. If I’m in your area (as you can see, I do road trip it sometimes) or if you’re taking a trip to New York City, you could be surprised with a sammy soon!